Providing classes to Mums in Bracknell for over 10 years! These small friendly classes aim to enhance comfort and relaxation during pregnancy whilst helping to prepare for the birth. No previous experience of yoga is necessary. Classes allow you to take time out, each week, to nurture yourself, focusing on you and your growing baby. 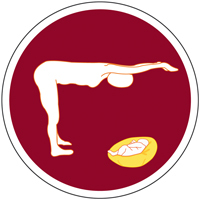 With your baby by your side (or joining in), these small classes use pioneering Birthlight postnatal techniques to close the body, strengthen the pelvic floor and realign the spine. 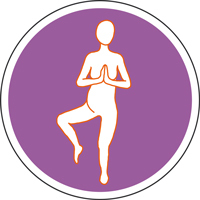 Relaxation and some Baby Yoga is also incorporated, along with stretches that help to relieve many of the common postnatal alignments. 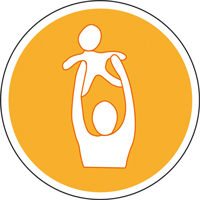 These relaxed friendly classes include open stretches, swings, lifts and balances, which all help to develop the babies natural capacity for movement and co-ordination as well as bringing balance to all the bodily systems. 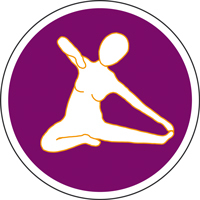 This women's only class offers an emphasis on yoga specifically directed to promote and enhance women's overall health and well-being. Before conception, between pregnancies, after having children or whenever women are drawn to nurture themselves in an attentive way.